Geoffrey Styles is Managing Director of GSW Strategy Group, LLC, an energy and environmental strategy consulting firm. Since 2002 he has served as a consultant, advisor and communicator, helping organizations and executives address systems-level policy. His industry experience includes leadership roles at Texaco Inc. in strategy development and scenario planning, alliance management, and energy trading, at both the corporate center and with business units involved in global oil refining & marketing, transportation, and alternative energy. He has an MBA and a BS in Chemical Engineering. 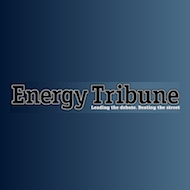 Geoffrey is a contributor to Energy Tribune. Will Iranian Sanctions Hit Oil Prices?